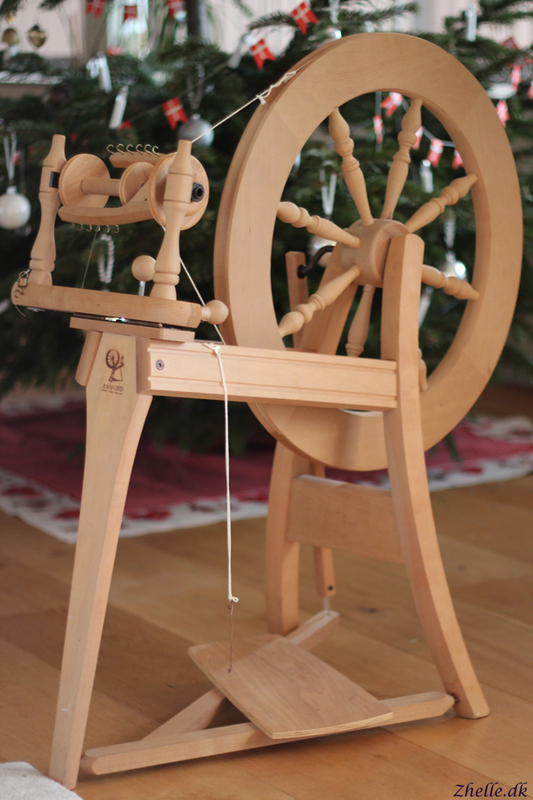 As you know I got a beautiful Ashford spinning wheel for Christmas. As it is a spinning wheel bought used, it needed some loving care, before I could start spinning on it. I got a maintenance kit and changed a few parts and got some oil for the squeaky parts, and now it is a beautiful spinning wheel just waiting for some yarn to be spun on it. My very first venture into spinning some lovely merino wool on it didn't go to plan. 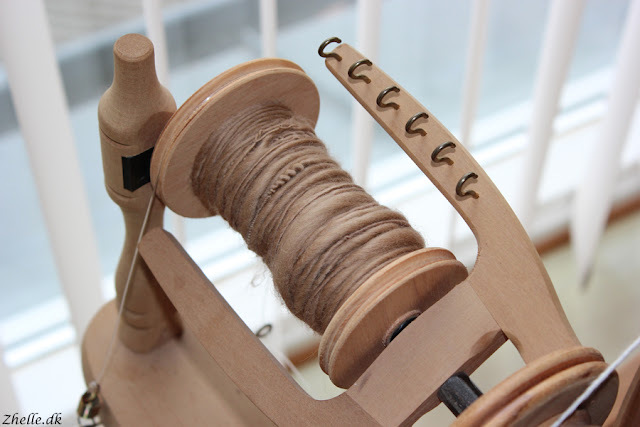 It was difficult to spin, the fibres kept splitting and it was just frustrating to work on. When I first got the wheel I bought a class on Craftsy.com called Foundations of Spinning with Amy King of Spunky Eclectic. If was definitely time to watch the lessons! For anyone new to spinning and/or looking to buy their first spinning wheel, I can definitely recommend taking Amy's class. She explains everything in a very easy manner and she has some awesome ways that you can get to know your wheel. Since watching the class I have made a bit of progress with spinning, but of course there are still lots of practice to be done. There is quite a difference in the thickness and some is overspun and some is underspun, but there is some made! So I am very happy with it. I got plenty of fibre to spin and practice with, and I definitely need lots of practice on this!